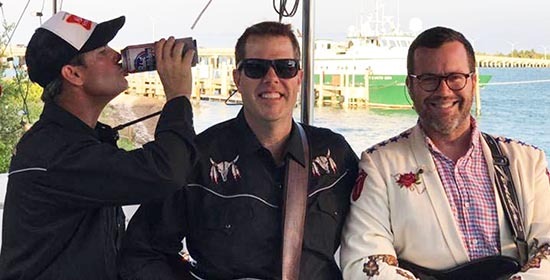 Enjoy a picnic and relax in your favorite lawn chair as the Tall Boys perform your favorite '70s country rock classics by Waylon Jennings, Lynyrd Skynyrd, Willie Nelson, Merle Haggard and more from 7 to 9 pm, on Saturday, November 10 at The Barnacle Historic State Park. Tickets go on sale an hour before show time. Admission is $10 for adults, $3 for children ages 6 to 9, and free for children 5 and under. Members of The Barnacle Society receive 20% off the regular adult price and free passes to one regular Moonlight Concert. Members can join or renew right at the gate. Enjoy evenings of live entertainment by beautiful Biscayne Bay during The Barnacle under Moonlight Concert Series the second Saturday of each month, September through May.